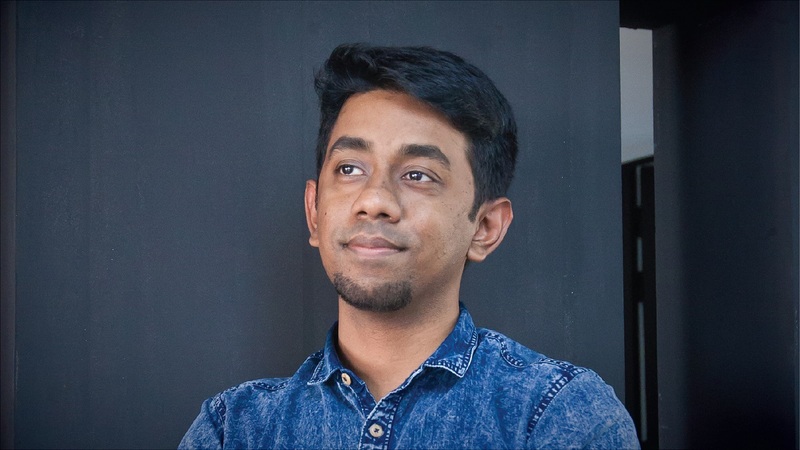 Hussain Elius is the CEO of Pathao, a trusted community fueled mode of transport, delivery, and ride-sharing in Bangladesh. Headquartered in Dhaka, the ride-sharing platform is one of the fastest growing gig service providers in Bangladesh, and has grown its team from 30 people, to now over 500 in just a few years. The startup’s most popular service to date is its motorbike sharing, which users can seamlessly access through its smartphone app. The service has overtaken taxi and CNG auto rickshaw rental services by offering its customers a better way to weave quickly through the notorious traffic jams in the mega city of Dhaka. Elius took a moment to update the Nasdaq Entrepreneurial Center on his journey as a founder so far. What does “entrepreneurship” mean to you? HE: Paul Graham introduced me to the concept of Schlep Blindness. “Schlep” is a Yiddish word which means a tedious, unpleasant task. No one likes schlep. People despise it and many are intimidated by it – even unconsciously. People just don’t want to think about all the boring, repetitive tasks they have to do if they start their own company. But that’s a big part of being an entrepreneur and can’t be overlooked. Entrepreneurship to me means being either blind to the schlep while you’re building a company, or actively ignoring it. Entrepreneurship is not always glamorous. Entrepreneurship is a grind that you need to bear through to see your idea through to completion, because you are driven by a higher purpose. Describe the moment you knew your company had to happen. HE: Pathao first started as an experiment — as a secret Facebook group. We’d ask our friends if they wanted anything delivered. Back then, we were using bicycles and motorcycles to do deliveries and beat Dhaka’s notorious traffic. We only had 5 bikes at that point. One of those days, I was stuck in traffic for 3 hours on a bus, looking at the motorbikes whizz by through narrow gaps between cars and other buses. That was my a-ha moment. We were moving packages, but why not people? I gave out my personal cell number on the Facebook group so people could call me to schedule rides. Literally, all the bike scheduling was done in an Excel sheet. The schlep! That all changed once we finally launched our app on December 2016. Haven’t looked back since! What’s the biggest experience or lesson gained on your journey so far? HE: It is to keep building and keep moving forward. Even if a mistake is made, that’s ok. It means you can learn from it and course correct. Never stop moving. Inertia is dangerous. It eats at you from the inside. HE: A culture of motorcycle taxis didn’t exist before Pathao came into being. We created a new category of transportation in Bangladesh. Pathao is not just a company – it’s a culture. We brought about large-scale change in terms of how people move around in Dhaka first, and then other cities as well. 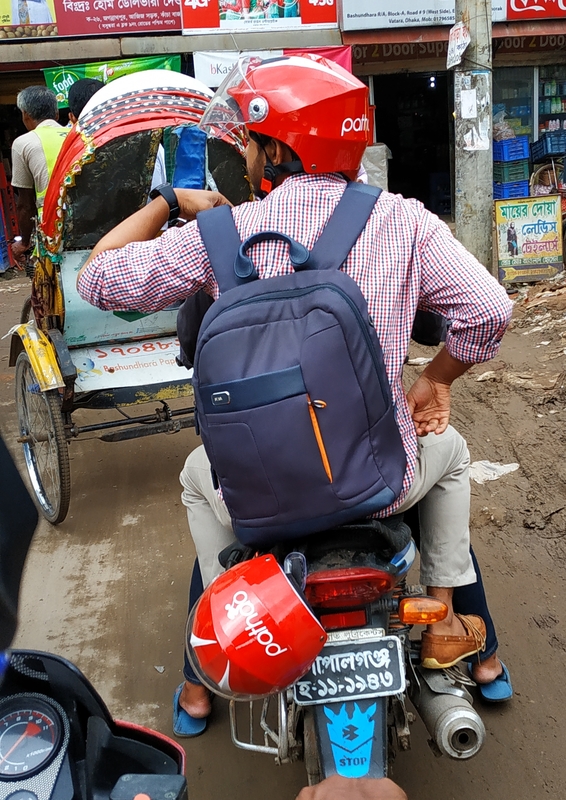 Now, because of Pathao, it’s become common for Bangladeshis to commute via motorcycles. There was a badboy image associated with riding motorbikes that wasn’t necessarily true or productive. By unlocking people’s earning potential using bikes and by mainstreaming travel on motorbikes, we made it a commodity. We also actively encourage self-employment and microentrepreneurship. The 100,000+ drivers we now have are not just providing transportation, they deliver food, essentials, and more. All our drivers are their own bosses; they have agency over their workdays, their schedules, their lives. And that’s powerful. When I started, it was with this scarcity mindset – the mindset that everything I do is a zero-sum game. If I win, it meant someone else has to lose. The mindset was destructive and draining, both physically and mentally. Changing my frame of reference from scarcity to abundance altered the way I saw the world. Slowly but surely moving to an abundance mentality allowed me to become more positive, empowered, and engaged. It helped me drive the business and my life forward. What is your professional/personal mission statement? I’ve always believed I was imperfect, and I needed to consistently evolve to be the best version of myself. That credo was also brought into the Pathao ethos – it’s an environment where we continually operate under the impression that there is always room to improve and grow. Now, that credo is not just for Pathao and myself, but also for Bangladesh. I’d like the business to transform and touch the lives of the everyday Bangladeshi and move Bangladesh forward. We live by our motto – #MovingBangladesh. What advice do you have for fellow entrepreneurs about building and leading teams? HE: I don’t think I could have done what I’ve done without my partners and my team. We all share the same vision of moving Bangladesh forward, and I’m proud to have a team that pushes me to be better and do better. The first few people on our team are so important. They set the bedrock for the company’s culture and its direction. They are still part of the company’s evolution and development. So, my advice is this: even if it takes time, pick the right people. HE: Honestly, it’s the people who make up Pathao’s story. It’s the drivers and the users whose lives we touch. They’re reason the company exists and the reason I keep doing what I do. One of our drivers used to work in a readymade garments factory. He lost his job when the factory floundered and wasn’t able to find another job easily. He had a wife and a young daughter he struggling to provide for. At one point, after he was laid off, he heard about us through our Rider Acquisition team, and in desperation, borrowed a bike from his brother to become part of the Pathao platform. He’s now one of our most stellar riders. He makes more than he did at his previous job and is able to earn more than enough money to cover his family’s expenses and, for the first time, also send his daughter to a good school! He said his next goal was to buy himself his own motorbike. It was a powerful source of inspiration, knowing that we were able to impact not just our driver’s life but his family’s as well. This is one of hundreds of stories about how Pathao has been able to make a difference in someone’s life. So when I need inspiration or motivation, I think of narratives like this. What does “success” look like for you? What do you think will help you achieve it? HE: Success is a limiting term to me. It implies a level of finality that I think is counterproductive. What I’d like to achieve is consistent innovation and improvement, both for myself and for Pathao. That’s what pushes me to tackle new challenges. It is true that we could not be where we are without our many wellwishers who got us here. One worth mentioning here is Mazher Mir, who has been discussing with Nasdaq senior management of Bangladeshi companies to list in the exchange, which would give Bangladeshi companies a lot more opportunity to grow. HE: Running out of money – and then running out of money again few days later. Moments of not knowing how to pay the next paycheck or how to pay the rent and keep the lights on. These moments are very raw and very real. There were times where we were running on fumes. But, we were able to pull through by the skin of our teeth. I even got to a point where I had to borrow money from friends to stay afloat. So many more people depend on us now — this is something that still haunts me. The proudest moment was when we released our book – Ogrojatrar Ogrodut (Moving Bangladesh). It’s a collection of stories from our users and our drivers on how Pathao has impacted their lives. The video is powerful, too. We are all stories in the end, and I was proud to be a story in the lives of so many people. What lesson did last year have for you? What do you look forward to for the rest of this one? HE: 2017 for me was all about turning our product into a business. Last year, we were only a 50-person team. 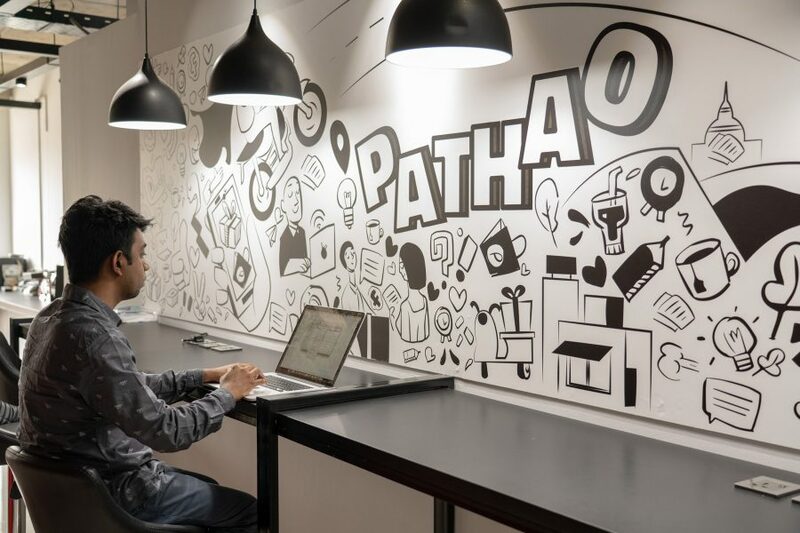 In 12 months, Pathao became a 700-person company, which is pretty incredible. It’s become clear to me that to scale up a company, you also need to scale up the people running the company. This means looking for stellar talent, building up the people we have now, and unlocking the most effective ways in which to empower and encourage them to grow. I’m most looking forward to focusing on Pathao’s evolution as a company, both internally and externally. Specifically, internally, I want to maintain the mantra that everyone at Pathao has an impact, that I am looking forward to grow and empower our people a lot more and have them develop along with Pathao!